PER NEW ORLEANS TRADITION A SECOND LINE OR BRASS BAND IS APPROPRIATE FOR ANY CELEBRATION, BOTH HAPPY AND SAD. PROPOSALS - WEDDINGS - PARADES - FLASH MOBS - MEMORIALS - GRAND OPENINGS - ETC. 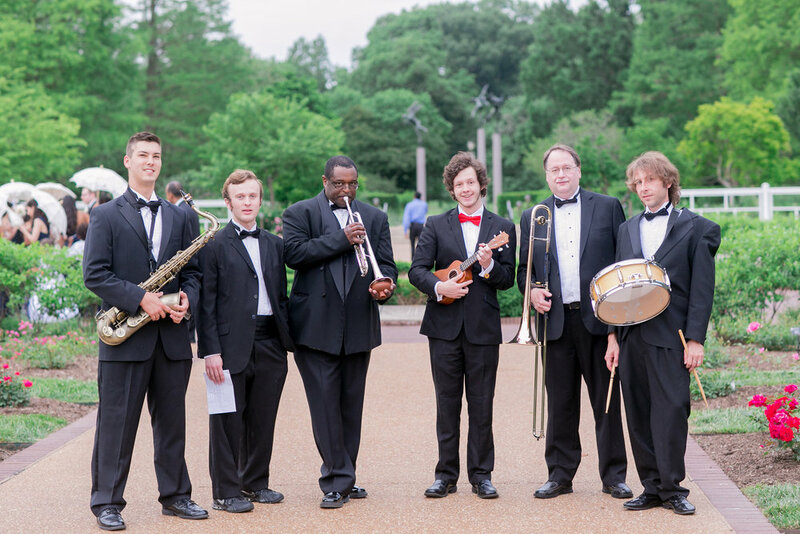 The St. Louis Big Band has the authentic sound to add the quintessential New Orleans art form to any occasion. We offer multiple size configurations for exceptional second line performances. 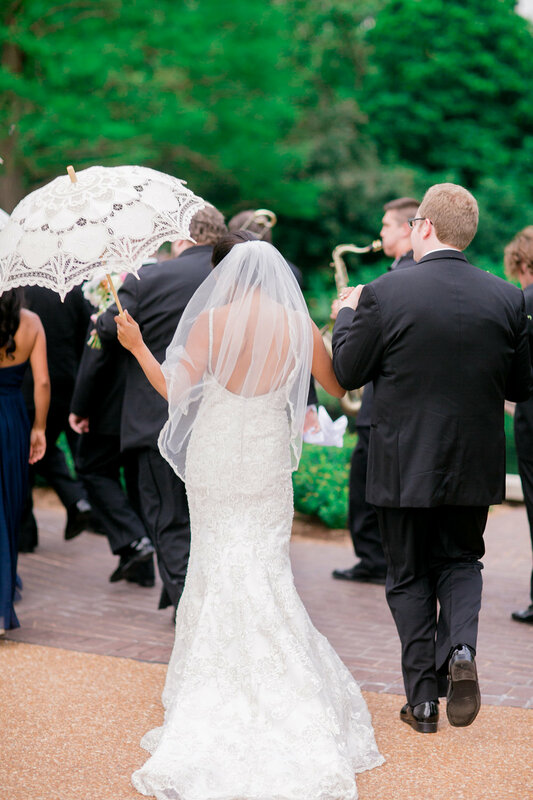 With most bookings a second line can be performed at no additional charge. We are available for booking nationwide and offer competitive all inclusive rates. Our sound draws heavily from the improvisational feel of traditional jazz. The St. Louis Big Band is highly experienced in the second line tradition and is proud to salute the heritage of traditional jazz with a second line configuration from anywhere from 4 to 60 pieces.